Yassine Group s.a.l. is one of the leading Lebanese companies working in the wood market. The company is a Lebanese based company centrally located to serve the entire Lebanese market. 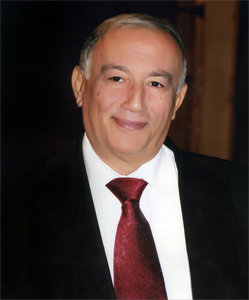 The business began with Est Nazih Yassine for Wood which was established by Late Mr. Nazih Fadel Yassine being a lumber and wood seller and has been operating since 1980’s in Beirut. Although Est. Nazih Yassine for Wood was a family business but with the vision and planning, the establishment has expanded into a channel of three branches located in three industrial areas to better serve its customers. The establishment stepped further by investing in the field of woodworks by offering new services to customers such as cutting, edge banding, pressing and engraving. Est. Nazih Yassine for Wood has also worked extensively and is now considered one of the largest importers of all kind of wood species, veneers and wood accessories. Today, Yassine Group s.a.l. which was founded in 2006 depends on a huge history of success and knowledge of the market as well of the domain of work. the experience gained through the past years helped in formulating a good business committed to quality and customer satisfaction. Yassine group is now the sole agent of INTASA , IFM and of Valbopan Fibras de Madeira in Lebanon. Commitment, quality materials and workmanship has been the trademark of the Yassine Group company with hope to reach success over success.